The scooterpartswarehouse was started in April of 2012 but don't let that fool you. We are a division of Paul's Bicycle Shop Inc. and have been in business since 1986 selling bikes and boards. We just recently added scooters because we saw an interest and a need in the area for a quality scooter and parts supplier. We sell in the warehouse as well as provide customers worldwide with products we have for sale from our store, on the internet, and on ebay. We also saw there was a need for scooter repair clinics or info sessions. 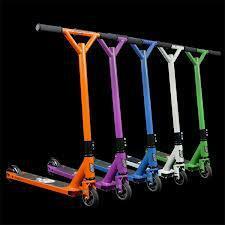 If you or your mom thinks you're a scooter nut don't be upset. We are right there with you. 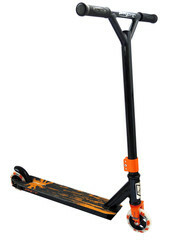 If you would sooner spend your money on a new scooter part for your personal ride join the crowd. If your mom gets upset that you sometimes buy the wrong part from other places we may be able to help. Just like Paul's Bicycle Shop Inc. we offer SALES, SERVICE, but most of all S A T I S F A C T I O N ! We are in business to provide you with the scooter you want whether it be right out of the box or help you build that one of a kind ride that is truly you. At the scooterpartswarehouse we provide you with the parts you need, and the information you need to maintain and build your special ride.